This article appears in print in the August 2018 issue as part of the 13th Annual Seattle Magazine Wine Awards. Click here to subscribe. Cheerleaders of the Washington wine scene (we include ourselves among them) have long touted Washington as a state that offers wines of incredible value, especially when compared to our two neighboring states to the south. As our panel of professionals convened to deliberate our 13th annual Washington Wine Awards, it was indeed a series of reasonably priced wines that stole the show. Our red, white and rosé wines of the year all clocked in at about $20. They bested many wines considerably more expensive, underscoring the value of tasting wines blind and proving that you don’t need a new-tech salary to drink well in Seattle. This is also the first year we elevated rosé to a “wine of the year” category, a change that reflects the incredible growth in quality, value and availability of Washington rosé. It now officially joins the ranks of Washington’s robust reds and crisp whites as a category worthy of standing on its own. Meet the maker: Syncline’s James Mantone (here in the winery’s estate vineyards, with a view of Mount Hood in the distance) is recognized for his adventurous approach to Washington wine. Photograph by Hayley Young. The Columbia Gorge AVA, spanning the Washington and Oregon sides of the Columbia River around Hood River, Oregon, feels very much like the science lab of Northwest winemaking. Many of the most adventurous winemakers and exciting wines being produced in Washington are emerging from the Gorge. The head mad scientist of that lab earns our title of 2018 Winemaker of the Year: James Mantone. Mantone’s Syncline Wine Cellars in Lyle, Washington, is the flagship winery of the Gorge; it was launched in 1999 after Mantone spent six years working harvests in the Willamette Valley. At the time, the trifecta of Riesling, Cabernet Sauvignon and Merlot dominated the Washington wine scene, so Syncline’s direction—focused on Rhône varieties such as Syrah, Grenache and Mourvèdre, and curiosities like Pinot Noir from the Gorge —was positively countercultural. But Mantone’s timing was good. He notes that Syncline launched just as “many growers were becoming open-minded to trying new things” and moving “from conservative, commodity-style grape growing to adventurous attitudes.” Recent years have seen Mantone introduce a new sparkling-wine label—Scintillation—and there are rumblings of other Gorge-centric endeavors on the horizon. “I look forward to seeing some of Washington’s boundaries further broadened,” says Mantone, and it’s clear he’ll be among the winemakers doing the broadening. In the weeds: Since he took over in 2015, Champoux Vineyard manager Dan Nickolaus has focused on the health of the soil and vines, like this original block of plantings in his Prosser vineyard. Photograph by Hayley Young. There is nothing in washington quite like Champoux Vineyard Cabernet Sauvignon. The blackest of black fruit combines with persistent graphitic minerality and haunting notes of violet. And that’s just the nose. The texture and mouthfeel of Champoux Cab is equally revered, an exemplar of power and grace combined, full of toothsome tannic power. This is the flagship vineyard, and also the oldest vineyard, of the Horse Heaven Hills. These are hills that seem custom built to grow Cabernet Sauvignon grapes. A series of south-sloping benches south of Prosser run down toward the Columbia River, the southerly aspect soaking up every iota of Northern Hemisphere summer sunshine, the river providing irrigation water and temperature moderation. Back in 1972, when it was planted by Don and Linda Mercer, the Champoux site was called Mercer Ranch, but soon thereafter, vineyard manager Paul Champoux purchased the land from the Mercers with four winery partners—Quilceda Creek Vintners, Andrew Will Winery, Powers Winery and Woodward Canyon Winery—and renamed it. Those partners have burnished the vineyard’s reputation for Cabernet, which makes up 80 percent of Champoux’s acreage. The current vineyard manager, Dan Nickolaus, comanaged the site with Paul Champoux in 2014 and then took over when Champoux retired in 2015. He has since focused on soil building and vine health, noting that “healthy vines can take on a lot of stress.” Champoux Vineyard—where stress is alchemized into beauty—seems well poised for another 50 years of compelling Cabernet. Vineyard with a view: Michael Savage stands in Underwood Mountain Vineyard in the Columbia Gorge, the source of his winery’s Riesling and Gruner Veltliner wines. Photograph by Hayley Young. A winemaker who is crafting wines of distinctive style and making an impact on Washington wine. Music industry veteran Michael Savage launched his Woodinville-based winery in 2011, and he has quickly established a progressive house style, crafting low-alcohol, food-friendly wines bottled and released early for freshness and vigor. “From the beginning,” Savage notes, “I wanted to work with cool climate sites.” That has meant chasing vineyards located in two of Washington’s colder pockets: the Columbia Gorge (Savage cites Syncline winemaker and our Winemaker of the Year James Mantone as a big influence) and higher elevations in the Yakima Valley, which tend to produce lighter-bodied, more elegant wines. Over the barrel: Kevin White, pictured in his eponymous Woodinville winery, loves how wine and food play together. Photograph by Hayley Young. Along with Winemaker to Watch Michael Savage, Kevin White is part of the Washington vanguard emphasizing purity and elegance over concentration and power. White says that his style is “heavily influenced by the role that wine plays with food; to form a symphony and bring a meal together.” He launched his eponymous winery (based in Woodinville) with a single wine from the 2010 vintage, a Syrah from Olsen Vineyard in the Yakima Valley, all while maintaining a day job at Microsoft (a gig he holds to this day). His focus on Rhône varieties has continued from there, with three Grenache-Syrah-Mourvèdre blends (red wine, La Fraternité and Pionnier) and one Syrah (En Hommage). From the beginning, White’s vineyard sourcing has been excellent. He purchases his Rhône varieties from Yakima Valley stalwarts like Boushey, Upland and Olsen vineyards. For now, White has capped his total production at 1,500 cases, in order to “focus on increasing quality versus making more wine.” La Fraternité has won awards in two of our past three Wine Awards, including this year’s Best Rhône Blend, More than $25 category. At $28, it bested wines that cost nearly twice its price, underscoring White’s well-earned and enduring reputation for value. Fine wining: The Canlis wine cellar is legendary, and sommelier Nelson Daquip presides over it all. Photograph by Alex Crook. At nearly 90 pages, the wine list at Canlis is the size of a novella, and its lead author, Nelson Daquip, is our Sommelier of the Year. Daquip joined Canlis in 2002 after moving to Seattle from his home state of Hawaii, where he had been lead server at Alan Wong’s Honolulu restaurant. His subsequent ascent was astonishing: from server’s assistant to wine director in a span of four years. His quick rise was helped along by a placement in Canlis’ “Vinternship” program, designed to foster young Seattle sommeliers, and by mentorship from Shayn Bjornholm, Canlis’ wine director at the time. The Shop Keepers: Chuck LeFevre purchased Esquin from its founder in 1997; today he runs it with his daughter and store manager Stephanie Burkhart. Burkhart's daughter, Mary (not pictured), also helps out. Photograph by Hayley Young. Esquin’s roots run deep in Seattle. When Rand Sealey launched the shop in 1969, there was no Washington wine scene to speak of. To put things in perspective: In 1969, Chateau Ste. Michelle was exactly 2 years old. The shop has grown in tandem with the Washington wine industry and is now deeply interwoven with it and the Seattle wine scene. Character driven: The Walls’ labels are drawn by cartoonist Joe Dator, who modeled recurring protaganist Stanley (as in wine pioneer Stan Clarke) after a character called Walter Groovy he’s drawn for The New Yorker. Photograph by The Walls. Food and wine: Ray’s Boathouse wine director Chip Croteau (right) and general manager/co-owner Doug Zellers raise a glass on the restaurant’s iconic balcony. Photograph by Hayley Young. A Puget Sound-area restaurant that hasn’t won in this category before and that offers exceptional opportunities to taste Washington state wine through Washington-wine-focused lists, unique tasting events and a professional, educated wine service staff. Ray’s in Ballard, overlooking Puget Sound and the Olympics, boasts some of the best views available to Seattle diners. And yet a certain subset of wine-obsessed patrons is as likely to be staring at Ray’s remarkable wine list as it is at the sunset descending into the Olympic Mountains. Depending on your perspective, the views can be equally divine. Shelf life: Mark Takagi oversees the wine selection at all Metropolitan Market stores, including this beautiful new location in Sammamish. Photograph by Hayley Young. “I go way back,” says Mark Takagi, wine, beer and spirits specialist at Metropolitan Market, with a chuckle, noting that when he began his career in the late ’70s, there were “maybe 75 wineries in Washington, and the shelves were dominated by California wines.” Over his four-decade career, spanning stints at McCormick’s Fish House, Safeway, QFC and Metropolitan Market, he has helped to right that imbalance, developing carefully curated retail wine sections that allow grocery shoppers access to some of Washington’s finest boutique wines. Dr. Terroir: Geology professor Kevin Pogue is an advocate for planting grapes on edgier sites, like this steep, south-facing hillside in the Walla Walla Valley AVA. Photograph by Hayley Young. After the attacks of September 11, 2001, Kevin Pogue’s work at the time—on the geology of the Himalayans of northern Pakistan—became untenable. So, the Whitman College (Walla Walla) geology professor and native Kentuckian shifted his focus closer to home, and eventually became obsessed with the notion of terroir: that the place where a grapevine is grown can impact the flavor of the eventual wine itself. He has subsequently been as influential as anyone in Washington’s second wave of vineyard plantings, and in the resulting evolution of Washington’s wine industry. 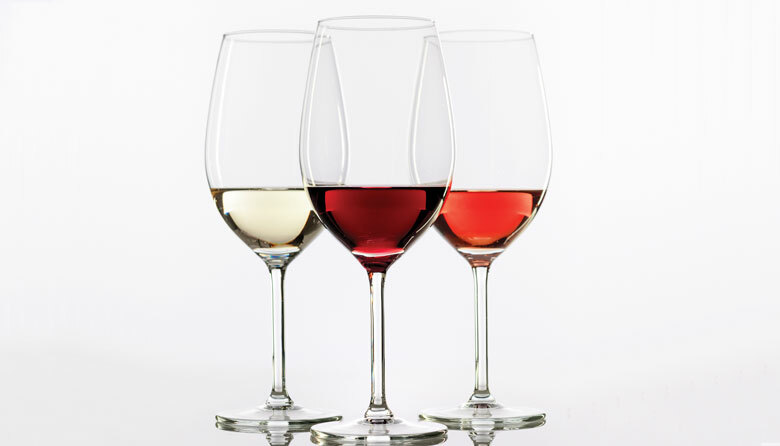 See which reds, whites and roses are winners in the 13th Annual Wine Awards here. Seattle Magazine's Washington Wine Awards program is produced and managed by Yashar Shayan. For more details on our tasting methodology and to meet our tasting panelists, click here.